I don't ever remember a time in life when I wasn't crafting. I know I was crocheting before I could read, knitting before I entered school, and made my first piece of clothing for myself when I was in the first grade. I kept myself busy knitting, crocheting, and making garments until I was pregnant with my first child. That's when I discovered quilting and I have pretty much neglected all other crafts in favor of quilting ever since. Every year, I see more and more garment patterns released in quilt shops and I think to myself, "I used to know how to do this!" And I collect the patterns. I have several years of recently released patterns in my collection and each was purchased with the intent of making my own clothes. I purchased this pattern from the Sew Inspired booth when I taught at Stitches United in Hartford, CT in March. This is my most recent pattern purchase, so it was on top of the pile. I am in many ways a minimalist, but minimalism doesn't apply to shoes, Hello Kitty handbags, or quilting fabric. That's where I draw the line. It finally stopped snowing and turned directly to summer. On a hot, hot day last week, I remembered that I had an amazing pair of orange sandals. Remembering this wonderful fact inspired me to finally be brave and make a garment. Defending my photo, I am currently recovering from medical treatment and not feeling very well. Also, it was hot and I have no air conditioning. I graded myself an A- on this project. My skills are a little rusty, but I will soon make another (and another!) blouse to remind myself that I know how to sew clothing! If you are sad that my local quilt shop closed, please don't be because it is re-opening in Wappingers Falls, NY this weekend! Congratulations Quilt Basket! I can't wait to teach in your new shop! Due to some regularly scheduled medical treatments, I am on sick leave this week. My body is fighting against my infusion so I'm tired, but I'm also on super-high doses of steroids so I'm high-strung and wired. Let's just say it's interesting being me this week. I'm not my smartest, so I'm trying to avoid actual work where making a mistake would be a bad thing. What does sick leave look like when you are self-employed? It looks like giving yourself permission to sleep until noon, nap frequently, and play in the sewing room when able. I dove head-first into my box of 1 1/2" scrap squares. I sewed them together with some white sashing until I ran out of squares. My 70"x70" quilt is currently 70"x20". I need to keep quilting and making scraps so I can finish this quilt! Keeping me company while quilting was Palace of Treason, book two in the Red Sparrow trilogy. As soon as I see a trailer for a new movie, I check to see if it is based on a book and then read the book while waiting for the movie to come out on disc at the library. This book gave me three books to occupy my time while waiting to see Jennifer Lawrence play a Russian/American/double? agent. I'm taking another sick day today. I need to find a new quilt project and a new book since I am at a waiting spot on each. Any suggestions? I'm not an artist and yet I am a comptent free-motion quilter. I am able to quilt things that are nearly impossible for me to draw. How weird is that? 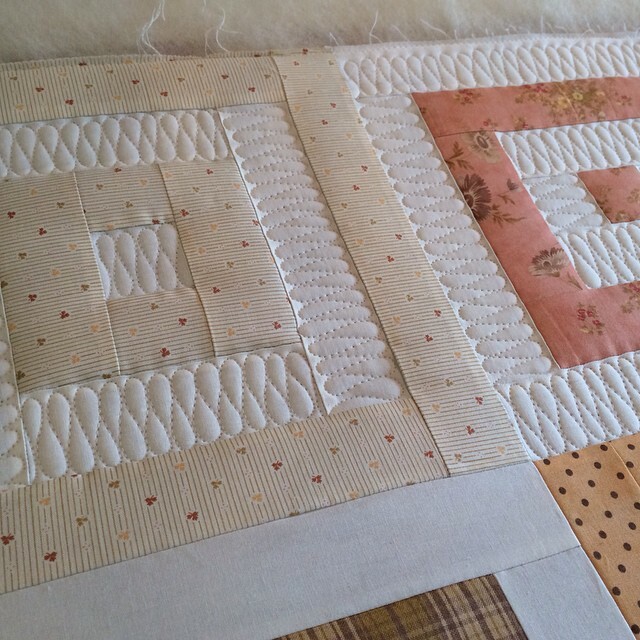 I teach my "non-artist" way of quilting on Craftsy. Anyone who has ever taken a class with me knows that ribbon candy is one of my favorite machine quilting designs. I teach ribbon candy and a few variations in this Craftsy class! 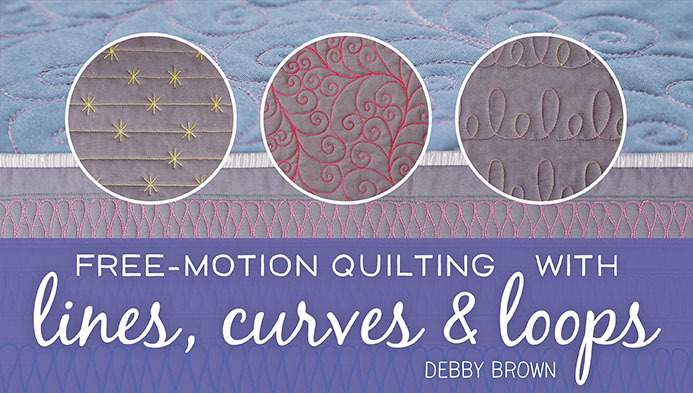 If ribbon candy isn't your favorite machine quilting pattern, why not? what is?